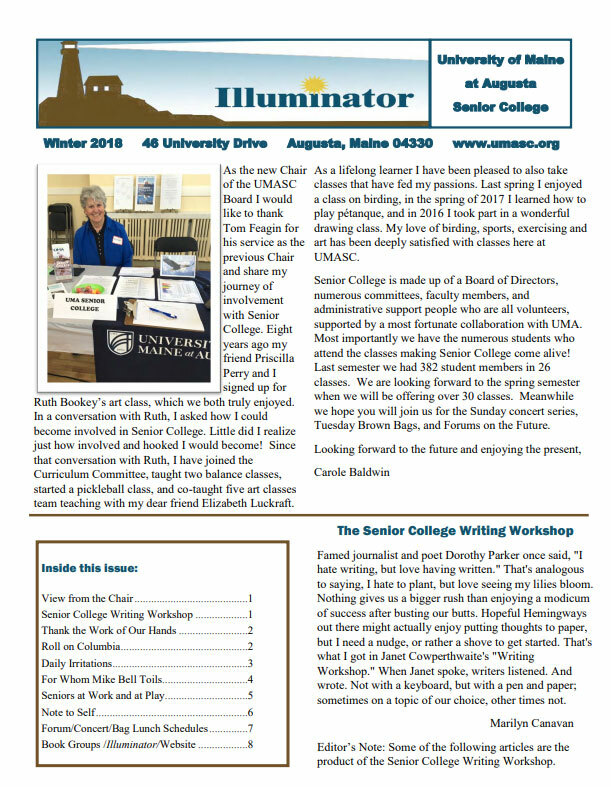 One of the perks of membership, the Illuminator is your Senior College newsletter. To be considered for publication in the Illuminator, please send your articles, stories, poems or artwork to the editor, Ann Sullivan,at asullivan47@outlook.com. Click here for a copy.